Summit Racing Super Series 2019, in both english and swedish language. INFO ABOUT THE SUMMIT RACING SUPER SERIES CONCEPT CAN BE FOUND BELOW! With the established Summit Racing EDRS Series serving as base, Summit Racing and Speedgroup introduce a new “series in the series” concept for the Pro ET and Super Pro ET classes 2018. Qualifying events are hosted May-August by a number of tracks in four countries, ending with a shooutout final event at Tierp Arena, Sweden August 23-26th. Read this document carefully to find out more! Track champions from 12 (PRO ET) and 9 (SUPER PRO ET) participating tracks are eligible for a place in the final event hosted by the state of the art venue Tierp Arena in Sweden August 23-26th . 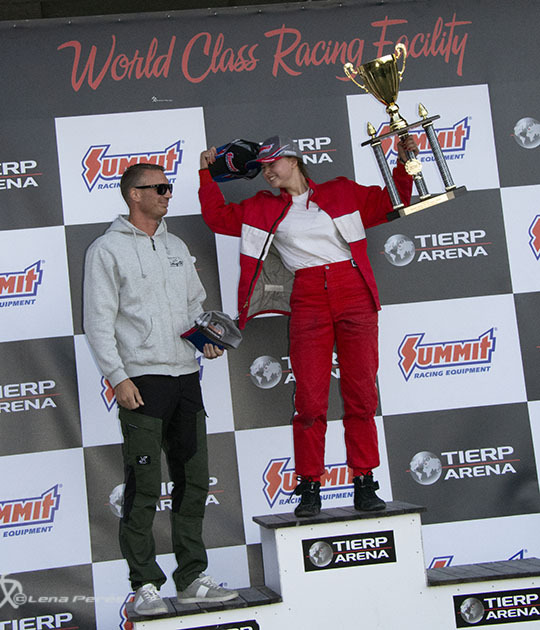 During the final event the pre-qualified track champions can enjoy the opportunity to race each other for as well glory, trophies and monetary awards provided by Summit Racing! Both the Summit Racing EDRS Series and Summit Racing Pro ET/Super Pro ET Super Series are operated by Speedgroup on contract with Summit Racing Equipment as well as the local event organizers operating the participating tracks. • This concept apply for the class Pro ET and Super Pro ET 2018 and with the same class regulations as apply in the Summit Racing EDRS Series. 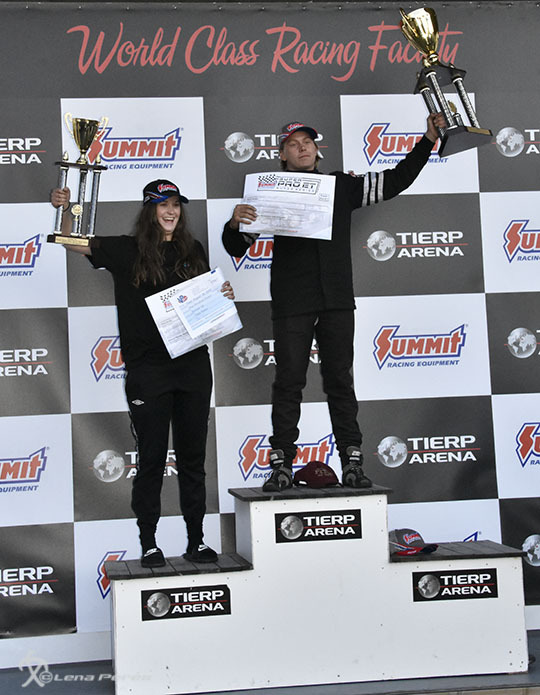 • Tracks operating more than one EDRS-event for Pro ET and/or Super Pro ET are entitled to use multiple events to establish one track champion, who is eligible for participation in the final event at Tierp Arena. See what applies for each participating track in the race calendar section further down this page. • Drivers entering Pro ET or Super Pro ET at any of the Summit Racing EDRS Series events listed as qualifying for the Summit Racing Pro ET/Super Pro ET Super Series are automatically part of the Super Series concept. No extra registration is needed. • All participants in the qualifying events as well as the final must display the Summit Racing Pro ET/Super Pro ET Super Series stickers on both sides of the car, well visible. • No “late entry fee” will be charged for the final event for track champions missing the normal Tierp Arena deadline for entry to the event August 23-26th for the few drivers that become track champions at any of the last qualifying events. These drivers too pay only normal entry fee. Track champions that are crowned before the normal entry deadline, must honour that date. Please look at www.dragracing.eu what date apply when the invitaion for the final event is online. QUALIFYING TRACKS & RACE DATES: see further down this page! The shootout final event is hosted by Tierp Arena, Sweden on August 23rd-26th 2018. Only the track champions established during the qualifying events may take part in the Summit Racing Pro ET/Super Pro ET Super Series finals! The right to participate in the final event is personal and cannot be transferred to another driver. If a pre-qualified driver for any reason choose not to enter the final event, he/she will not be replaced. An all-in sportsman ladder to be run over the quarter-mile distance. Qualification runs will decide the ranking for the eliminations. If for any extraordinary reason, like weather interference, the organizer is forced to limit the number of drivers before the eliminations it will be based on qualification rankings. If for any reason no qualification runs can be made, elimination rankings can be decided by a draw performed by a Summit Racing/Speedgroup assigned person and with all drivers and a representative from the race directory present. The race schedule is decided by the event organiser and normally published provisionally before the event begins. The schedule may be changed by the race director without notice, both in regards to time and number of scheduled runs. The drivers will be informed of any changes continuously during the event, normally by the class host. Please note, no points will be awarded from the finals event towards the Summit Racing EDRS Series, since it is only open for pre-qualified drivers. 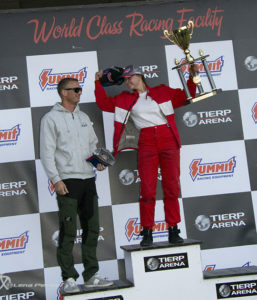 Summit Racing in addition award remaining participants with a prize check worth $250. It is handed out on location during elimination day and can be used in Summit Racing´s webshop immediately. Trophies are provided for the winners and runner-ups. Monetary funds for positions 1 through 8 are paid via bank transfer within 7 days after the final event and after the drivers have submitted a filled in claims form provided by Speedgroup. The exchange course USD towards the currency in the award winners´country is established in advance. The qualifying events are used for establishing track champions who will be eligible for participation in the final event at Tierp Arena. Some tracks use one single event to crown the track champions, while a few track where a series of events are run, will use multiple events to crown the track champion. If a driver has already established him/herself as track champion on another track included in the concept before there will be no extra benefits. The qualifying events are also included in Summit Racing EDRS Series for Pro ET and Super Pro ET. Points are awareded to all participating drivers from these events in the points table of Summit Racing EDRS Series Pro ET division North/Central or EDRS Super Pro ET. TRACK CHAMPIONS MULTIPLE EVENT TRACKS: To establish a track champion over multiple events at an individual track, points from all eligible events run at that track and for each individual driver will be accumulated and decide the ranking. The points are identical with the EDRS series points and the driver with the highest points will be crowned as track champion. For information about the points calculation please check the Summit Racing EDRS Series Guidelines document section under point 6 www.dragracingeurope.eu/edrs . For Separation of Competitors (tie-break method) see under point 9. Event prize funds are paid as stated in the Guidelines document for Summit Racing EDRS Series which is online at www.dragracingeurope.eu/edrs . To be eligible for payout of event prize funds drivers must have signed up in EDRS Drivers Club at www.dragracing.eu by the event entry deadline date. Please read the guidelines for more information! WELCOME ALL ET RACERS TO TAKE PART IN THE SUMMIT RACING SUPER SERIES 2018! Thunder Valle, NOR: June 1-3 – event cancelled in Feb.